A hot air balloon tour fiesta/festival/tour/celebration we always look forward! 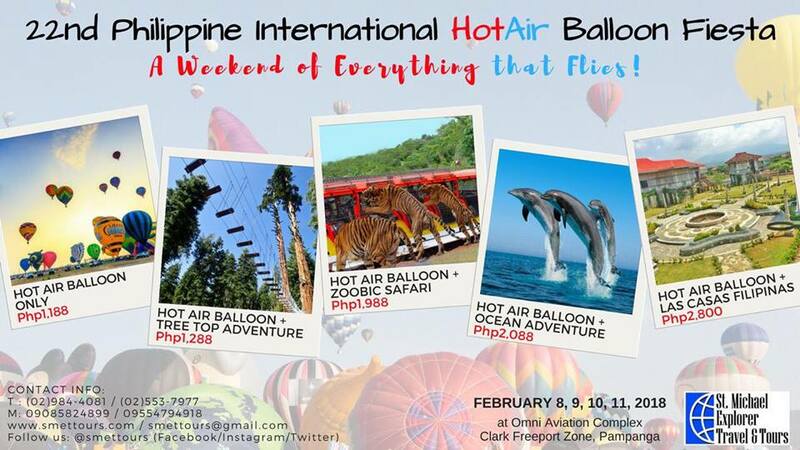 The 22nd Philippine Hot Air Balloon Tour Festival in 2018 is just around the corner! We want you to prepare as early as possible. We know that DIY way is fun to do in any tour festivals in the country but for those who are too preoccupied with other matters, we highly recommend to get a tour package instead. As always, every year, we have no other recommended travel agency in the Philippines that offer one of the most affordable Hot Air Balloon Package than SMTT. For those who are going there as first-time visitors, I would suggest if you don't have a car to just get a tour package. The ideal time to go there is before sunrise and if you are coming from Metro Manila, 2 AM is the most ideal time to leave. It is going to be a bit inconvenient or I am not sure if it's even possible to commute to reach the venue directly during these early hours. Sunrise is when most of the balloons and other "aircrafts" fly up the air so this is the best time to take photos. Once the sun is up like 8 AM to noon and afternoon, it is going to be as hot as hell, pardon me for the words. You're not going to wish you're there. REMINDER: Rates may change at any moment. Please contact SMTT directly especially when the festival is very near. We advise to book ahead so you can avail of the current rates. 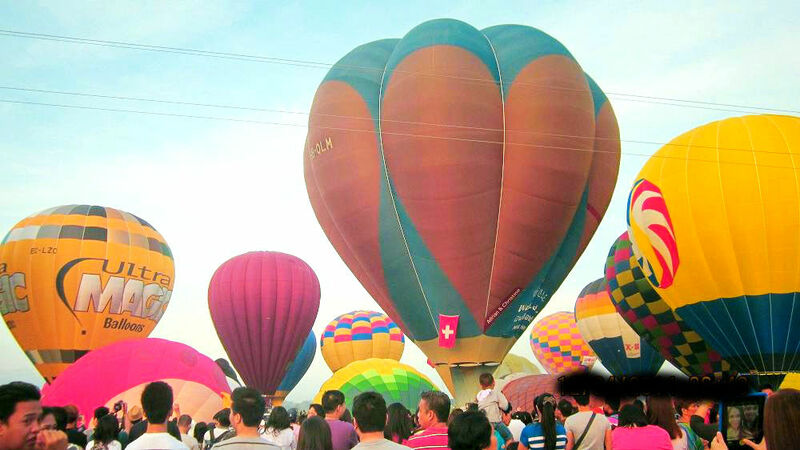 This post will soon be updated from time to time once the official schedule of Philippine International Hot Air Balloon Festival is available. You have all the time, all day to watch balloons and other performances as well. We suggest you bring umbrella and sunglasses to protect your skin from sunburn. Tree Top Adventure is a nature park in Zoobic that offers hurt-pumping outdoor activities. This package includes free activities: canopy ride and superman ride.Canopy ride is travelling through trees 100 feet above the ground using a network of five motorized cable rides, and see nature from an entirely new perspective. Superman ride is taking off off from a tower to a zip line adventure that can launch you into a superhero flight, face first (alone or with another rider) from an elevation 70 feet high in Subic. If you have more time, we recommend doing more rides (pay on your own) like the silver surfer, interactive freefall, trekking and tree drop adventure. Zoobic Safari is located in Subic Bay Freeport’s Forest Adventure. It is made of twenty five-hectare land showcasing an astonishing sight of diverse exotic animals roaming and frolicking in their simulated natural habitat. It features a wide range of habitats present in the forest due to the terrain, presence of streams, and fringing grasslands. This package comes with free animal show featuring live animals doing simple tricks. 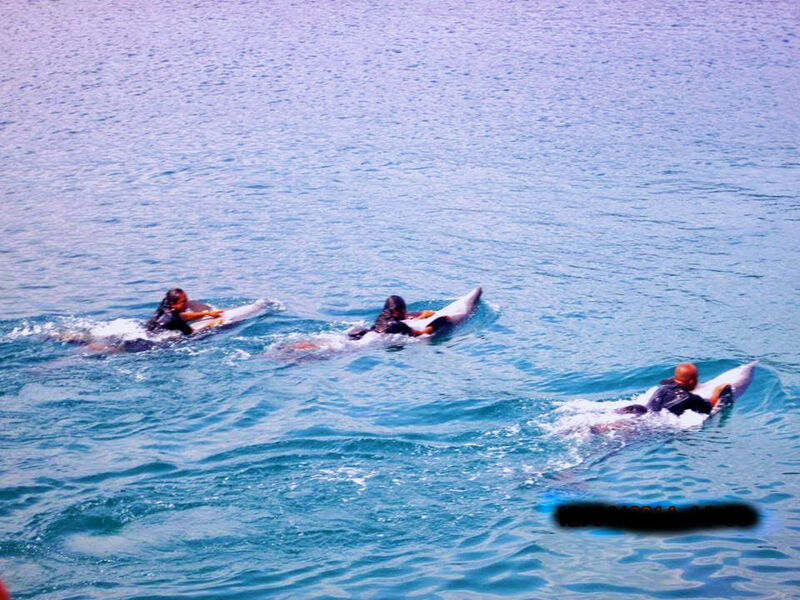 Ocean Adventure in Subic Bay is a place to see trained dolphins, whales, sea lions and a lot more. The people behind this theme park are very much aware of the harsh realities of animal tourism - they do not belong to those evil ones who take advange of animals for their own intentions. They have deep passion in animal care and welfare, true environmentalists and conservationists. Their show is not designed entirely to delight the audience but also to remind everyone to take part in the conservation of our ocean, forest and the environment we live in. You can read here my personal experience when I went there: DOLPHIN WATCHING AND SEA LION ENCOUNTER AT OCEAN ADVENTURE, SUBIC BAY. 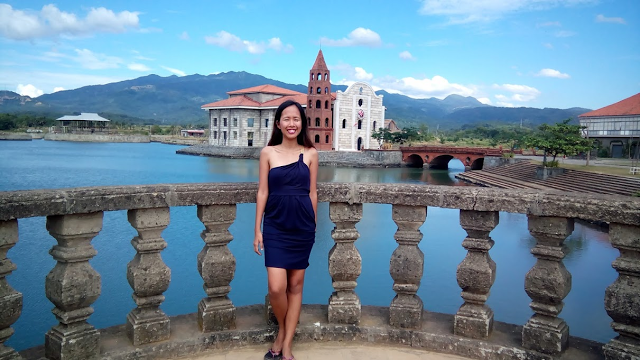 Las Casas Filipinas de Acuzar is a beautiful and breathtaking man-made heritage town in Bagac, Bataan. You'll be traveling back in time during the colonization period because of the ancestral houses you'll see there. Some of those are made of original parts of old Filipino houses that were bought by the owner and moved to this place to be rebuilt. Here's my blog post about it: 13 HERITAGE HOUSES YOU SHOULD VISIT IN LAS CASAS FILIPINAS DE ACUZAR IN BAGAC, BATAAN. Okay, for those who have all the time in the world don't fret. I will also share a DIY Travel Guide and Itinerary for 2018 PHILIPPINE INTERNATIONAL HOT AIR BALLOON FESTIVAL. For the mean time, click HERE the one I wrote last year.